Figure 1. 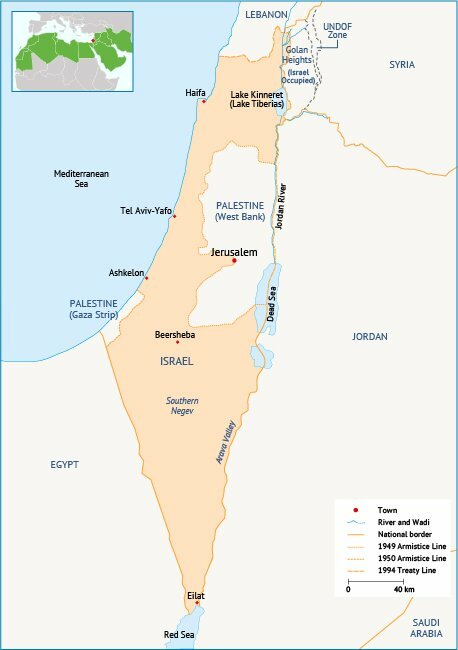 Map of Israel. Source: Fanack after University of Texas Libraries. Figure 2. 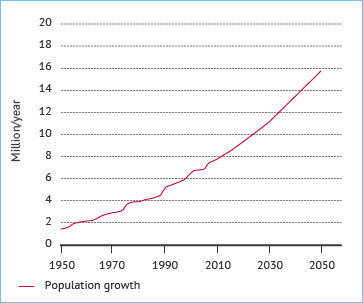 Population growth in Israel 1949-2050 (millions). Source: Fanack based on Israeli Central Bureau of Statistics; Statistical Abstract of Israel 2009. Figure 3. Water resources in Israel. Source: Fanack based on Mediterranean Affairs. Figure 4. 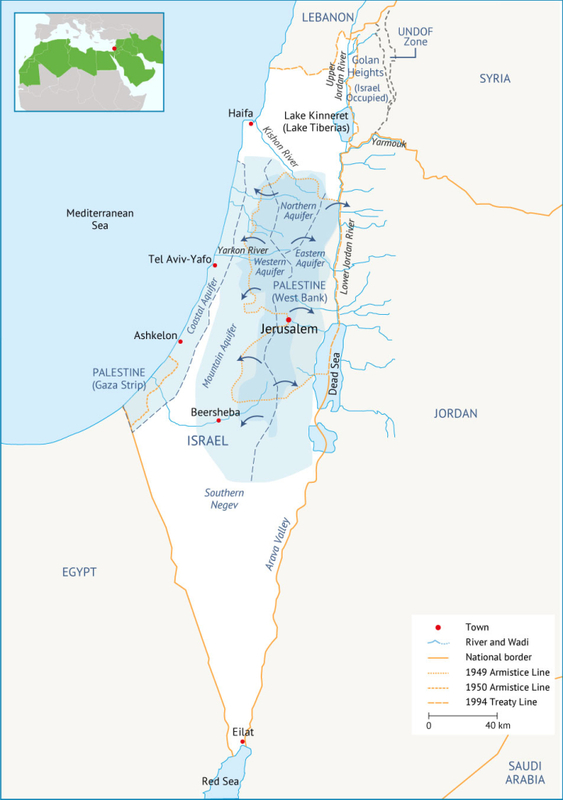 Major sources of water supply in Israel. Source: Fanack based on Mekorot WaTech Division. Figure 5. 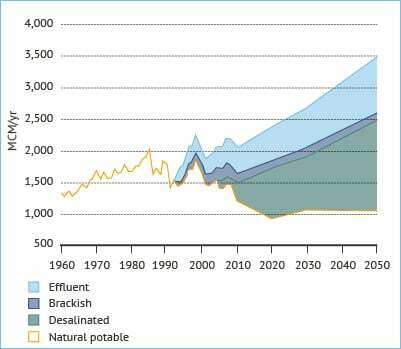 Water use in Israel by source type (1960-2050). Source: Fanack after Rejwan, 2011. Figure 6. 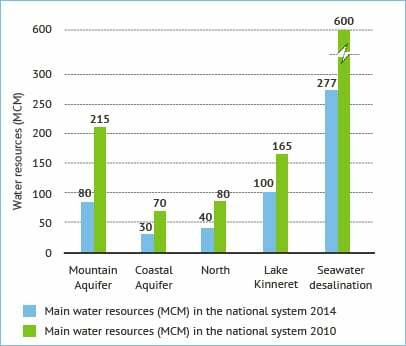 Water use in Israel by sector for 2013. 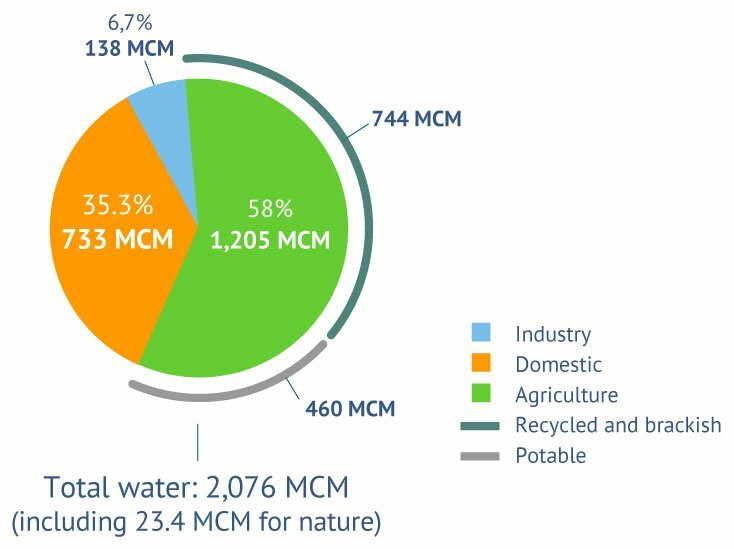 Source: Fanack based on Israel Water Authority. Figure 7. 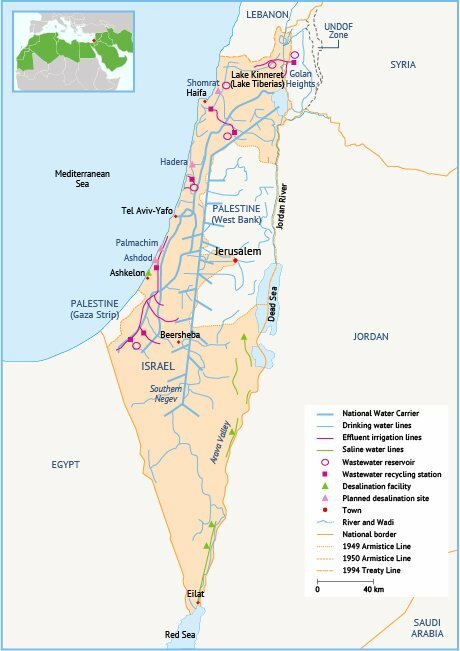 Israel's national water infrastructure grid. Source: Fanack based on Tal, 2006. Figure 8. 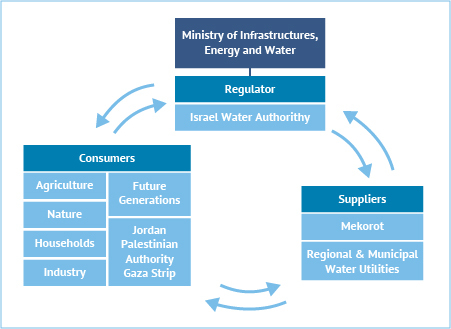 Overview of the Israeli water sector showing the relation between regulator, consumers and suppliers. Source: Fanack based on Mekorot WaTech Division, 2014. Figure 9. Water tariffs for domestic, industrial and agricultural use including variation in tariff based on quality. Source: Fanack after Fernandes, G., 2012.